Merkel has a battle on her hands. GERMAN CHANCELLOR ANGELA Merkel is fighting for her political future today, looking to placate conservative rebels over immigration with a hard-fought European deal even as eastern EU states called it into doubt. Merkel’s centre-right CDU party and its conservative Bavarian CSU allies are holding separate meetings to weigh the results of last week’s EU summit, which agreed collective measures by the bloc’s 28 members to reduce immigration. Merkel hopes the deals with Germany’s neighbours will deter Interior Minister and CSU leader Horst Seehofer from defying her by turning away at the border asylum seekers already registered in other EU nations. According to a document sent to coalition partners, Merkel sought to assuage the hardliners with deals with 16 other countries to return already-registered migrants if they reached Germany. The German leader, who has been in office since 2005, has warned that the issue of migration could decide the very future of the EU itself. The EU and bilateral deals were “only possible because the chancellor enjoys respect and authority throughout Europe,” Germany’s EU Commissioner and CDU politician Guenther Oettinger said in an interview with the Frankfurter Allgemeine Sonntagszeitung weekly. That is very valuable for Germany, no-one should destroy it. But several central European nations including Poland, Hungary, the Czech Republic and Slovakia denied they had agreed to accept returned migrants. “Given the different statements from some EU member countries, one can doubt whether all of the decisions at the EU Council will become reality,” head of the CSU parliamentary group Alexander Dobrindt told Bild am Sonntag newspaper. Leaders and MPs from the Bavarian party will meet in Munich to decide their response, while Merkel and her top lieutenants will gather in Berlin. EU leaders agreed on Friday to consider setting up “disembarkation platforms” outside the EU, most likely in North Africa, in a bid to discourage migrants and refugees boarding EU-bound smuggler boats. At the national level, Merkel also proposes that migrants arriving in Germany who first registered in another EU country should be placed in special “admissions centres” under restrictive conditions, according to a document she sent to the CSU and coalition partners the Social Democratic Party (SPD). “There will be a residency obligation reinforced with sanctions,” the document states. It says asylum applications in Germany between January and May this year were 20 percent lower than the same period in 2017. Merkel told reporters on Friday that the EU and bilateral deals were “more than equivalent in their effect” to Seehofer’s demands. Seehofer has yet to respond in public to the Brussels summit. The chancellor’s frantic last-minute diplomacy was ultimately prompted by the CSU’s fear of losing its cherished absolute majority in Bavaria’s state parliament. The “Free State” with its beer-and-lederhosen Alpine traditions, powerful industries and impenetrable dialect has a more conservative bent than other German regions. But the CSU and CDU together form a centre-right force that has dominated national politics for decades. Political stability was upset by Merkel’s 2015 decision to keep borders open to migrants and refugees arriving in Bavaria from the Middle East via the Balkans, Hungary and Austria. Since then, more than one million people have arrived in Germany, while Merkel’s governments have repeatedly tightened immigration and asylum laws. Nevertheless, the anti-refugee, anti-Islam Alternative for Germany (AfD) was propelled into federal parliament for the first time last year by outrage over immigration, leading to months of paralysis while Merkel struggled to find a workable coalition. Opinion polls point to the AfD making a similarly spectacular entrance to Bavaria’s parliament in October. Weeks of “Merkel-bashing”, however, have failed to help the CSU, as a Forsa poll last week showed around 68% of Bavarians backed Merkel’s quest for a Europe-wide answer to migration rather than Germany going it alone. 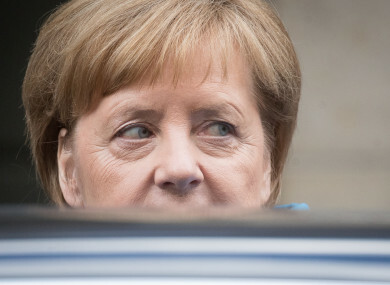 Email “Merkel fighting for her political life as allies mull over migrants deal”. Feedback on “Merkel fighting for her political life as allies mull over migrants deal”.